THE DELOITTE Global Centre for Corporate Governance released its second annual research titled; ‘Director 360: Degrees of Progress’, with findings showing over 90% of global Directors agree that the board plays a significant role in establishing the proper ethical tone at the top of the organisation. The annual survey interviewed 288 board chairmen and directors in 19 countries around the world on the topic of board effectiveness and the issues, challenges and opportunities that boards face. “The results in the survey reflect an on-going and substantial change in both the global business environment and the roles and responsibilities of board directors,” said Rami Wadie, partner, Corporate Governance Leader at Deloitte Middle East. “In the Middle East, directors surveyed have identified many challenges and areas for improvement in the current structures and practices,” he added. CEO succession planning is not effectively addressed by the board. 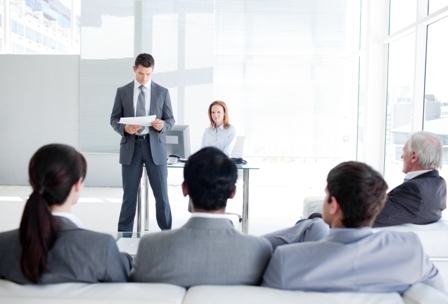 CEO succession planning is vital to the organisation’s future growth. However, 67% of Middle East CEOs do not believe that succession planning is effectively addressed by the board. Changes in the regulatory environment will impact the board’s areas of focus over the next few years. Findings show an apparent increased focus on risk oversight and strategy setting at the board level in the Middle East. The governance codes (set of guidelines regulating the systems and processes involved in guiding an organisation) are being revised within companies in the region to address key corporate governance areas such as board education, talent management, risk as well as other topics such as IT governance. Executive remuneration and compensation arrangements have become overly complex. The concept of linking remuneration to risk is being promoted in some countries in the Middle East, however, this practice is still in the infancy stage. Processes to evaluate board performance not a priority. The survey findings show that attempts In the Middle East to put initiatives to start evaluating the performance of the board and its related committees, however, according to ME directors this is not perceived a priority at the moment. Sustainability and corporate social responsibility not priority on agenda. Middle East directors believe that sustainability and corporate social responsibility are currently not on the top of the boardroom agenda, but that they could be in the next couple of years. The level of shareholder scrutiny on corporate governance practices will increase over the next few years. All of the directors surveyed in the Middle East agreed that shareholders are increasing their level of scrutiny of boards and their performance. “With the amplified media emphasis and investor awareness, shareholder scrutiny on corporate governance practices in the Middle East is likely to increase greatly during the next couple of years. A major reason for this surge can be attributed to growing regulatory requirements promoting increased disclosures and transparency,” explained Wadie. The ‘Director 360: Degrees of Progress’, survey is carried out annually, soliciting views from non-executive directors on a variety of top of mind corporate governance matters from board composition, to regulation, to risk oversight, to directors’ role in strategy. 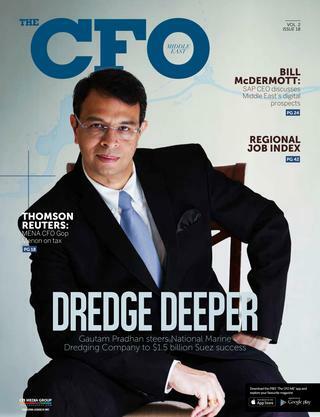 As the premier CFO Magazine in the region, the CFO Middle East provides a platform where accountants, auditors and Chief Financial Officers share ideas and opinions, and professional accountancy/auditing bodies can communicate with their members, helping in the development of the profession throughout the entire region. © 2019 The CFO Middle East. All rights reserved. Product of CPI Media Group. For more information e-mail us at webmaster@cpimediagroup.com.